Moreover, it is free! and available for download in Google WebStore ! yeah this is more interesting!! 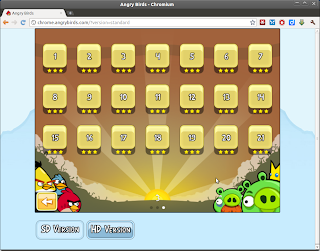 Here is the link and screenshot for the Angry Birds on WebStore. 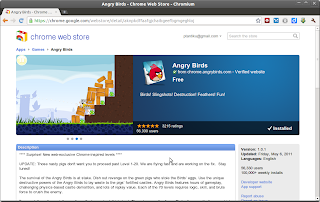 You probably notice I am using Chromium (which is an opensource version of Chrome) but it is not a big deal. 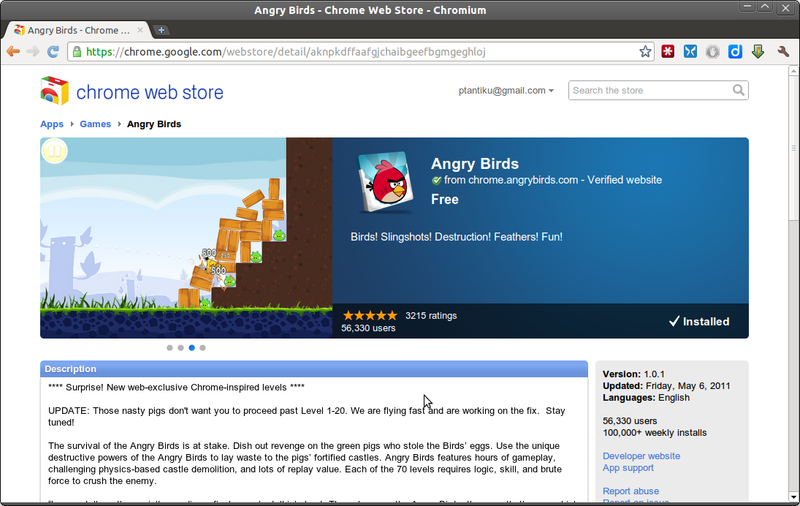 Angry Birds works on Chromium too. I installed it right away and played with it for awhile. Then I started thinking, how the program stores the data? It needs to be persistent and specific for a person to keep one's score, while it does not ask for any login information, so the only place it can be is local machine. 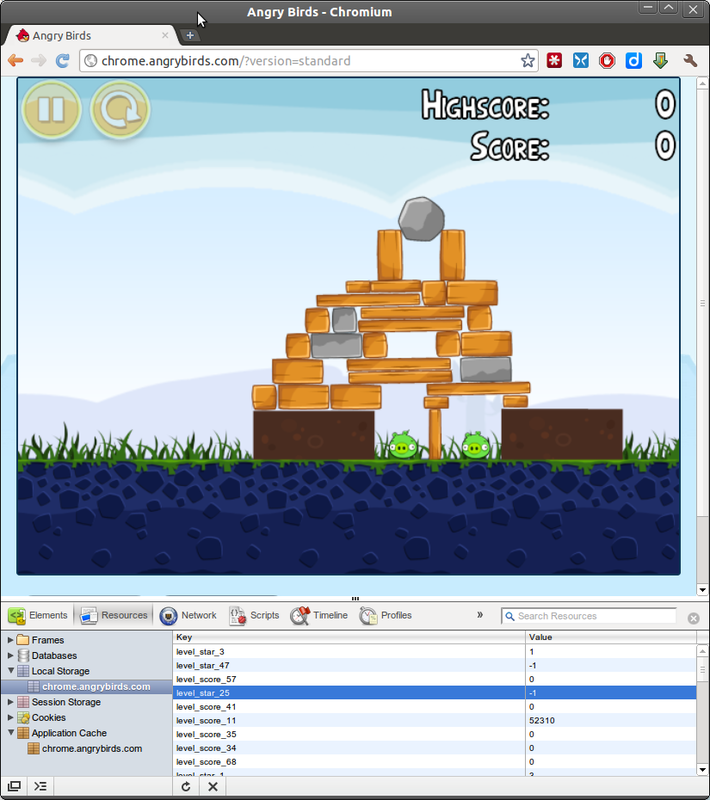 Since I have been working with Chrome extension and HTML5's "LocalStorage" for a month. I look into it, and I found this. Well, this could mean we can change stars and scores in any level as we want. Possible values to put in are : -1 = not played , 0 - 3 are stars after cleared. Conveniently, Chrome allows us to double-click and edit the data in Local Storage directly via this tool. So what we need to do is change all the stars to 3 and we have cleared the game Yeah!!! I'm lazy to count number of the levels, so I just put 100 in there. 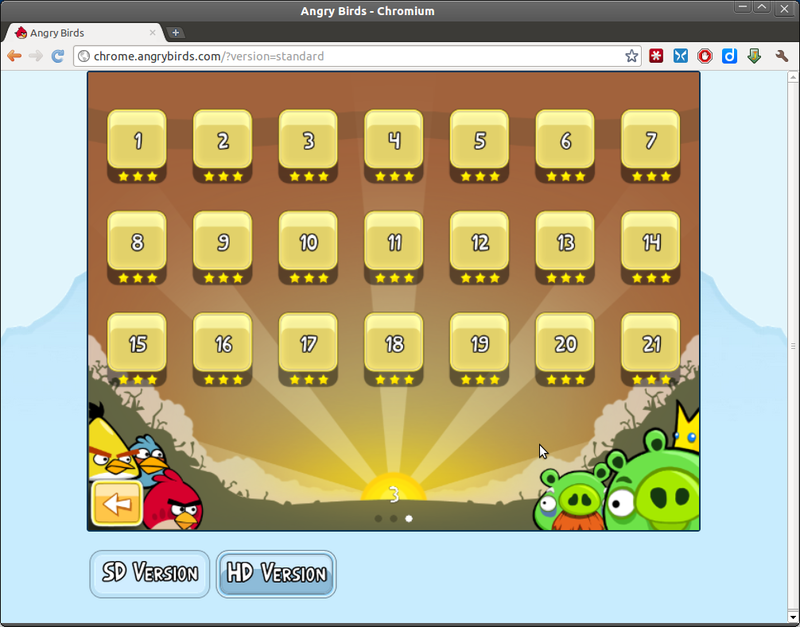 Close the tab, open Angry Birds again, here is what I see. - maximum number of levels is currently 69.